From Madagascar - land of strange plants - comes this exotic rarity, Impatiens eriosperma. 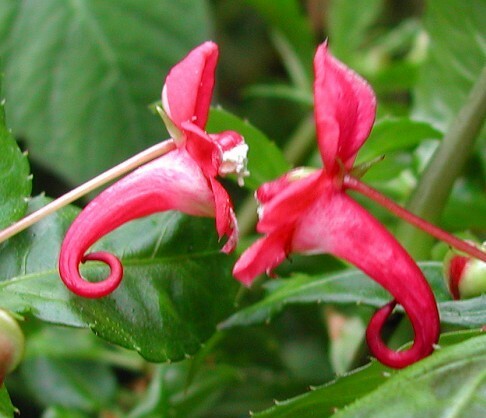 Like playful toys, these adorable blooms with their curlicue tails fill the plant all throughout the year. I find it to be easy to grow and quite vigorous. I'd like to see more people growing this unusual and very fun plant. 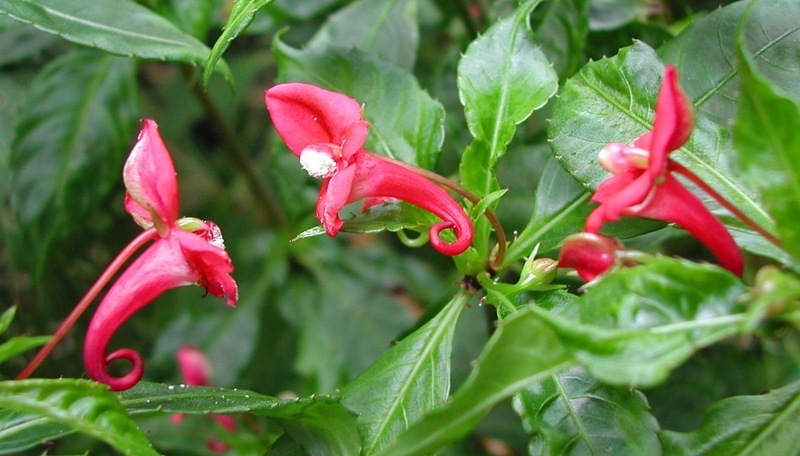 It is almost unknown in cultivation, and might not be available elsewhere online. Impatiens eriosperma is a perennial species with a strong upright habit, growing about 3 feet tall. Its stems are unusually rigid for Impatiens and almost woody. The flowers appear practically all year long for me! 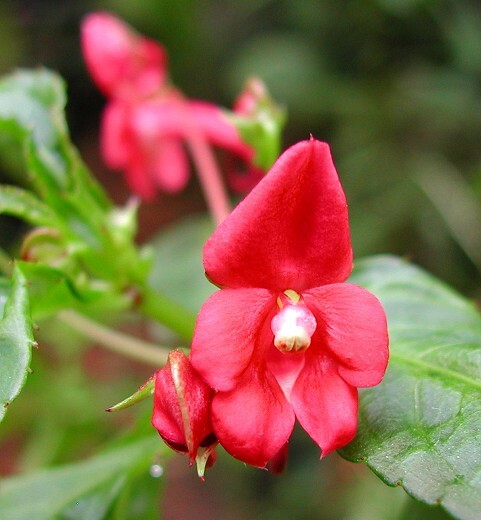 These unusual blooms are slightly longer than an inch and are a vibrant shade of pinkish-red. They have a cottony tuft of white pollen when they are in the male phase. This is a true species, not a cultivated hybrid. 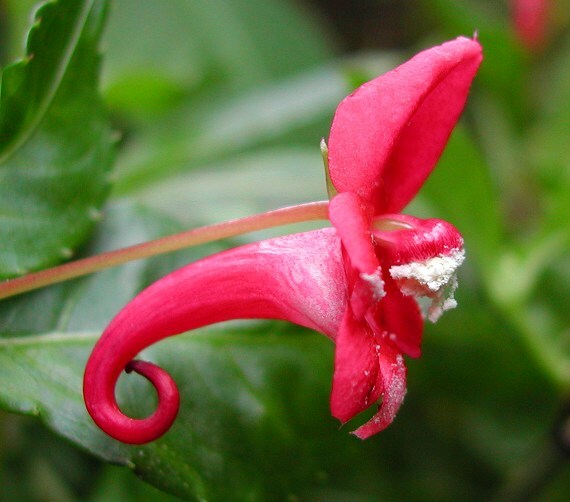 Very little is known about Impatiens eriosperma. It doesn't seem as heat-sensitive as some of my other rare Impatiens, however i have no information on how it will do in warmer climates, like Florida or Texas. Consider it experimental if temperatures regularly get above the low 80s (28°C), especially if nights are warm. It can tolerate cool conditions, but it cannot take frost. It makes a great houseplant, growing easily in a 1 gallon pot. Like most Impatiens, it prefers fertile, well-draining soil that's kept evenly moist. It grows well in bright shade or filtered sun. Protect it from strong afternoon sun. Over about 40-45% humidity is best.